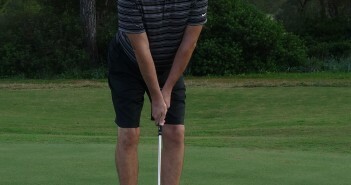 The Golf Swing Sequence, Made Simple! 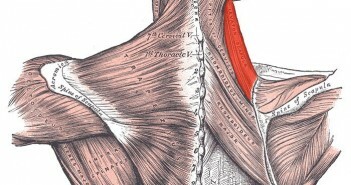 The trapezius muscle is the large muscle between your neck and your shoulder. It forms the ‘V’ shape of your neck. 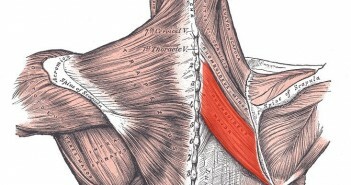 The trapezius muscles move the scapulae (shoulder blades), support the arms and help with core stability. The trapezius has three functional regions: the superior region (descending part), which supports the weight of the arm; the intermediate region (transverse part), which retracts the scapula; and the inferior region (ascending part), which medially rotates and depresses the scapula. 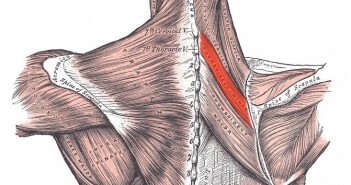 Contraction of the trapezius muscle can have two effects: movement of the scapula when the spinal origins are stable, and movement of the spine when the scapulae are stable. It is mainly used in throwing, along with the deltoid muscles. If you have any questions or comments about this or other articles on Golf Loopy, please send us an email. Overview of a Great Golf Swing, which summarises the correct movements in a great golf swing, and how the core muscles help to power and stabilise the golf swing. Golf Swing 101. Setup: Basic Posture, which explains why good posture is good for your golf swing, and how the abdominals should be pulled in properly. Golf Swing Drill 101. Setup: Perfect Posture and Connecting to Your Core, which describes how to achieve perfect posture, including how your abdominals should activated by pulling them in and up. Why is Having the Shoulders “Connected” So Important? Which explains how the shoulders enable the power of the big muscles in your legs and core to be transferred to the golf club. Golf Anatomy and Kinesiology, a collection of articles describing the roles of the muscles involved in the golf swing. Core muscles, which describes the muscles that run the length of your trunk and torso. Kinetic Chain, which describes how the different parts of your body act to transfer energy from the ground to the golf ball. 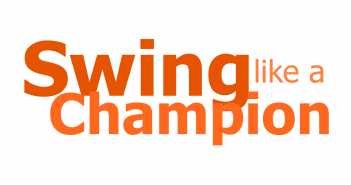 » Golf swing instruction home page. This website does not provide medical advice and does not direct that you undertake any specific exercise or fitness regimen. You must consult a physician before undertaking any activity described in this website. © 2009- golfloopy.com. All rights reserved.